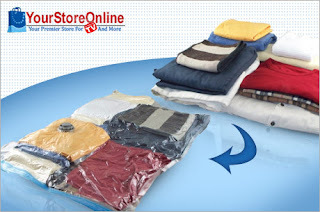 $18 for a 16-piece Space-Saving Bags Deluxe Set, Reg $49.95! Head over to Eversave to score a 16-piece space-saving bags deluxe set for only $18. This regularly costs $49.95! NOTE: To get this price, use the code spring at checkout to take off $2. New Eversave shoppers get a $1 credit for signing up, making the deal only $16. Plus, anyone who buys the deal and shares it will receive $2 in credit to use on a future purchase!